I have been making up stories for as long as I can remember. At some point I started putting all those stories jostling in my head onto paper. I suppose that was when I became a ‘writer’. And like every writer, I had a dream. To be published. To see my work in print. And exactly a year ago, on a cold February morning, I chanced upon an email sitting innocuously in my inbox and this dream I had cherished for so long, so precious that sometimes I did not even dare admit it to myself for fear I would jinx it, this fragile dream looked set to realize. And what a year it has been! Bookouture gave me a chance, took me on. I signed a three book contract with them even though all I had was one book and a seemingly endless supply of hope. And now, my second book is ready to share with you. ‘The Forgotten Daughter’ will be published on the 28th of February-in just over two weeks! 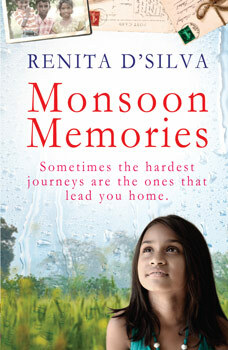 And, to top it all, ‘Monsoon Memories’, the book that I despaired of ever seeing the light of day, is out in India. It is available in all bookstores. Once you have read it, I would very much appreciate it if you could write a review on Flipkart, Goodreads and Amazon and help spread the word. The official book launch for ‘Monsoon Memories’ in Bangalore takes place at Sapna Bookstore, (6, Koramangala 80 Feet Rd, Koramangala 7th Block),Koramangala on Saturday the 15th of February from 4 to 6 pm. The book launch in Mumbai is on Wednesday the 19th at the NCPA(National Centre for Performing Arts), NCPA Marg, Nariman Point, Mumbai, in the Little Theatre from 6:30 to 8:30pm. Please do come and get a signed copy of the book. Looking forward to meeting you all. As Samuel Johnson once said, ‘A writer only begins a book. A reader finishes it.’ I thank you all so very much for your support. 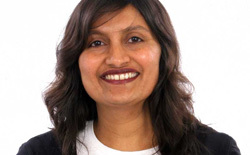 Fantastic news huge congratulations Renita you so deserve it! 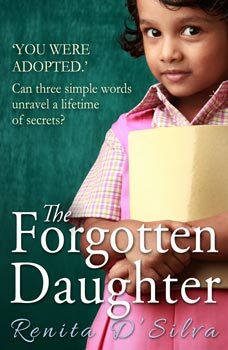 I so loved monsoon memories, good luck with the launch and looking forward to reading the forgotton daughter soon!